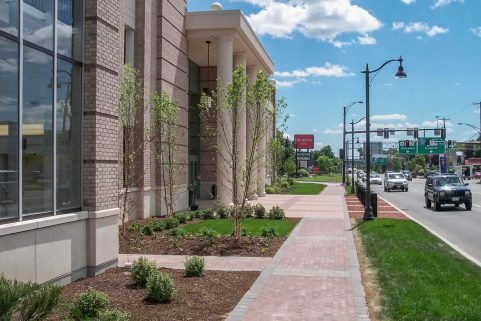 WBRC’s Landscape Architect Department partnered with Olver Associates Civil Engineers and EHL Design in a year and a half long inventory, analysis, and design process to understand and rehabilitate one of the oldest Main Streets in the nation. 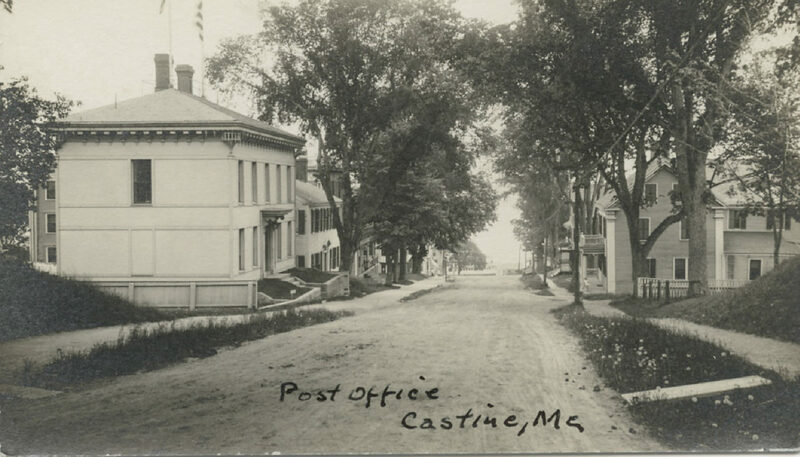 “Under the Elms and by the Sea,” Castine is one of the oldest communities in North America and has been occupied since the early 1600s. 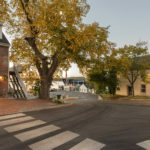 Having a chance to participate in a “freshening up” of its Main Street was an honor for Maine Landscape Architect Paul Brody and Landscape Designer Josh Burke. 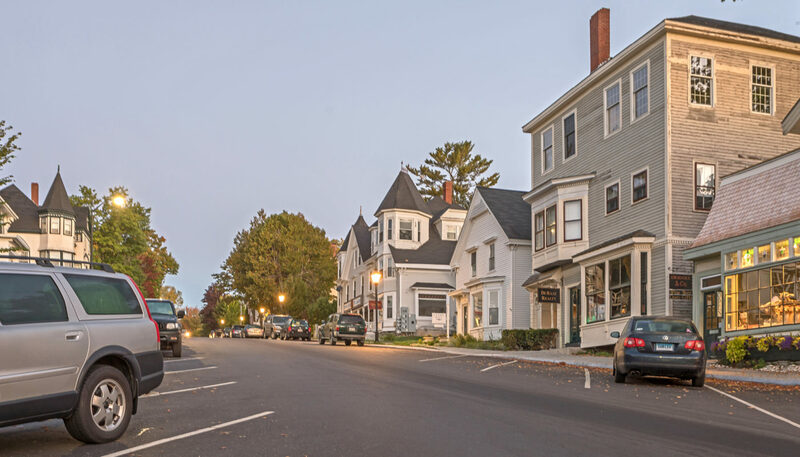 As part of the design process, a town-wide survey was prepared to identify what the residents valued most in their Main Street, and from that survey, a series of design guidelines was developed that sought to find a balance between “doing nothing” and complete renewal. 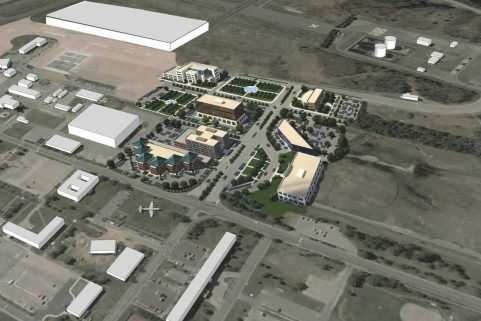 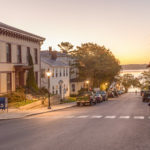 The residents and town leadership identified safety as the number one priority, followed closely by historic preservation, and pedestrian experience. 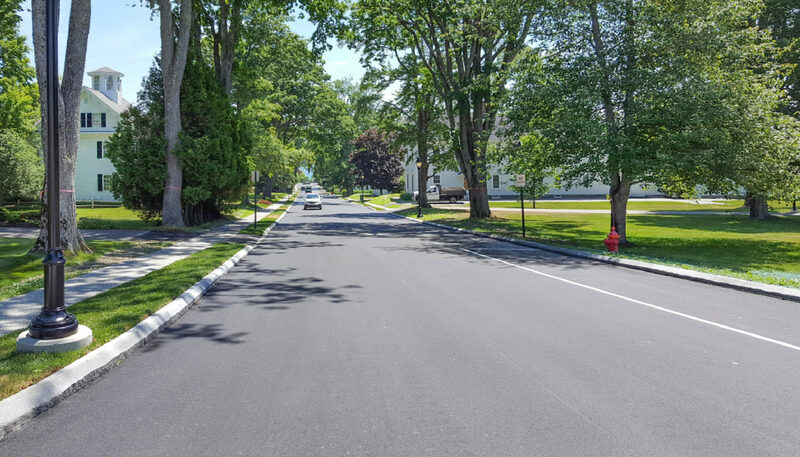 Road width, curb type, and parking were significant points of discussion in the process as well. 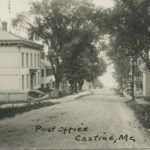 WBRC performed a detailed historical analysis of the street using photos provided by the Castine Historic Society and resident sources showing historic and current conditions, which informed the team’s recommendations on how to respect and reinstate historic elements along the street. 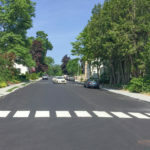 While the project began as a much needed utility infrastructure overhaul, it was obvious to town leaders and residents that this was the opportune time to also look at addressing the extremely deteriorated pedestrian environment on the street. 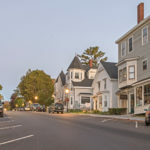 The general goal was to make it safe and walkable and pick up on historic cues, being careful not to end up with a modern, characterless Main Street and to cause as little disruption as possible — no easy task with a mix of 200-year-old homes and businesses along the street, with many properties very close to the edge of the road. 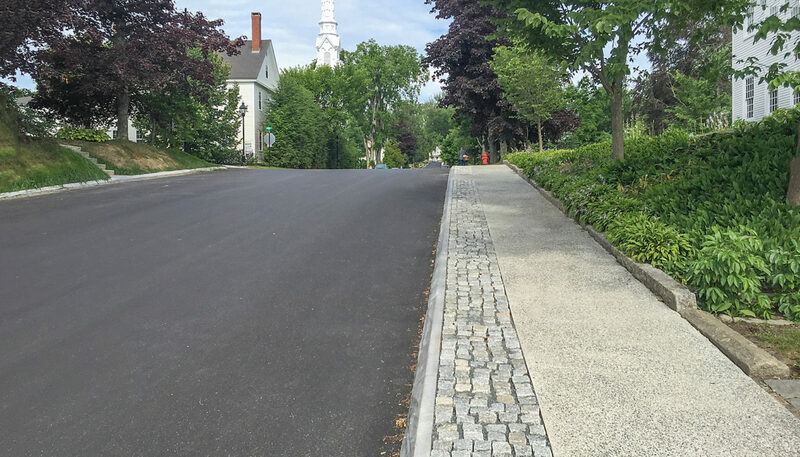 Minor adjustments to the width of the street to balance safety and pedestrian atmosphere. 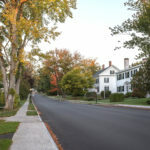 Preservation of all existing elm trees along the street using grading techniques and shallow base brick pavers to protect shallow root zones. 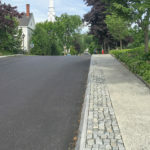 Custom cut 45 degree partial sloped granite curb to provide a soft tire edge while minimizing slip hazard for pedestrians. 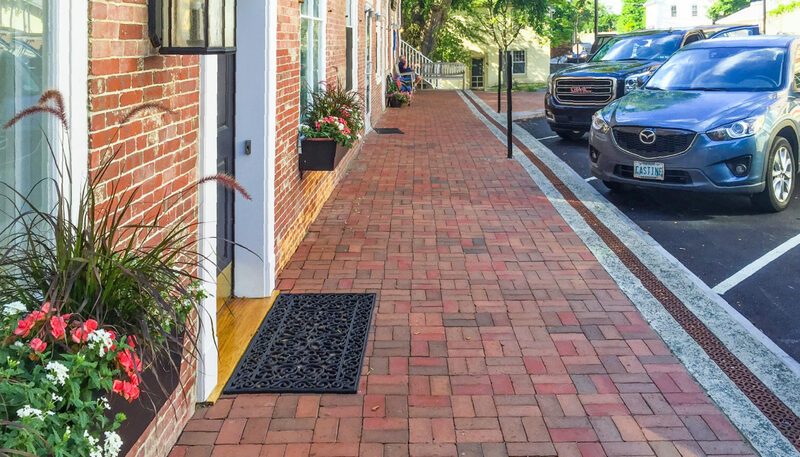 Antiqued concrete sidewalks that utilize a surface course with exposed granite and ledge aggregate. 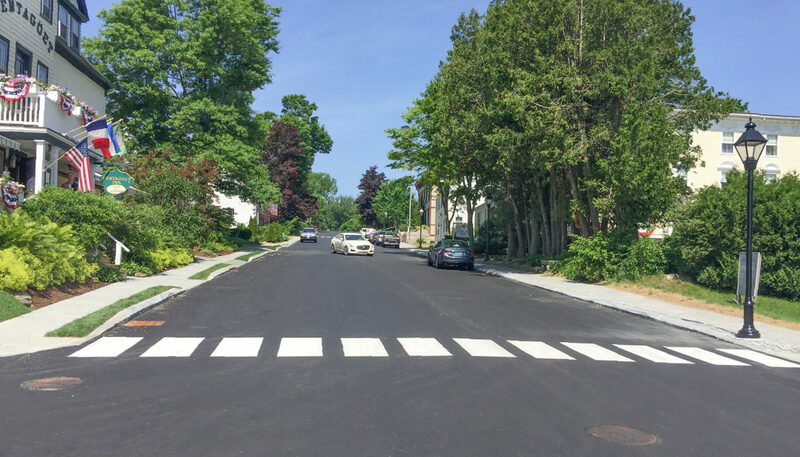 Sidewalk elevations remain the same across driveways by using a ramp and flush curb system at driveway intersections. 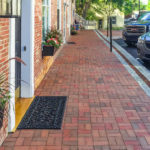 “Bridge” sidewalks were reintroduced from private walks to the street mimicking the wooden boardwalk bridges of days past. 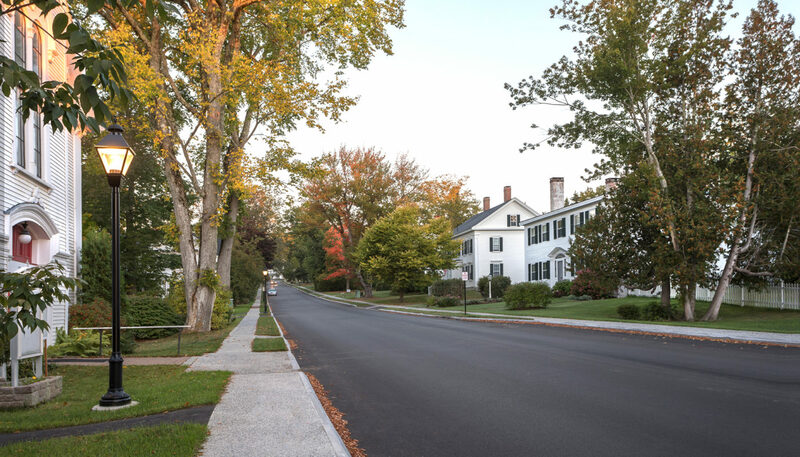 The street was lowered in relation to the homes and buildings to provide a proper relationship. 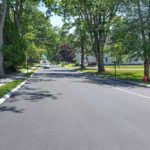 Introduce a grass buffer between the sidewalk and road in residential areas. 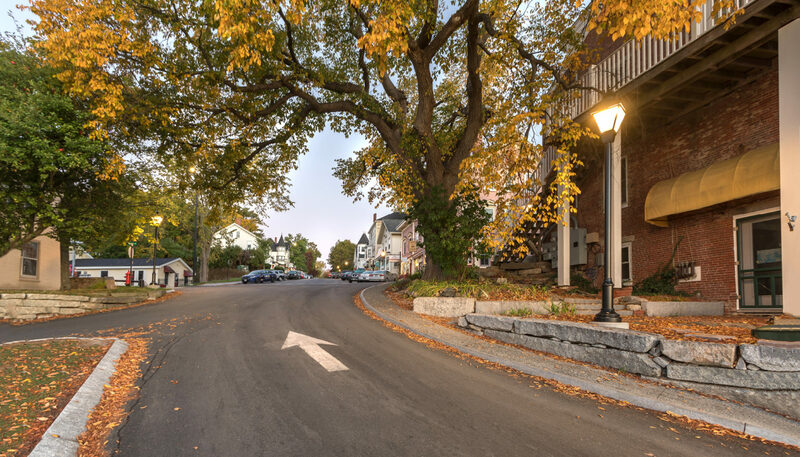 Introduce a moderate amount of pedestrian scale lighting in a period style with modern LED electronics. 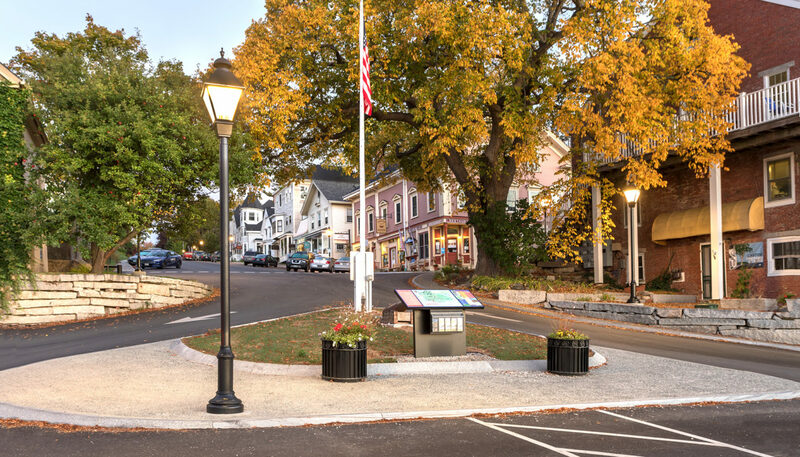 Use a minimal number of tall lights with recessed LED electronics to provide safe light levels at key intersections while minimizing glare and visibility of the fixtures. 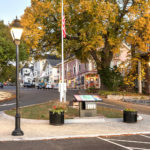 All aerial power and communications was placed underground eliminating the visual clutter of the associated poles and heavy cabling. 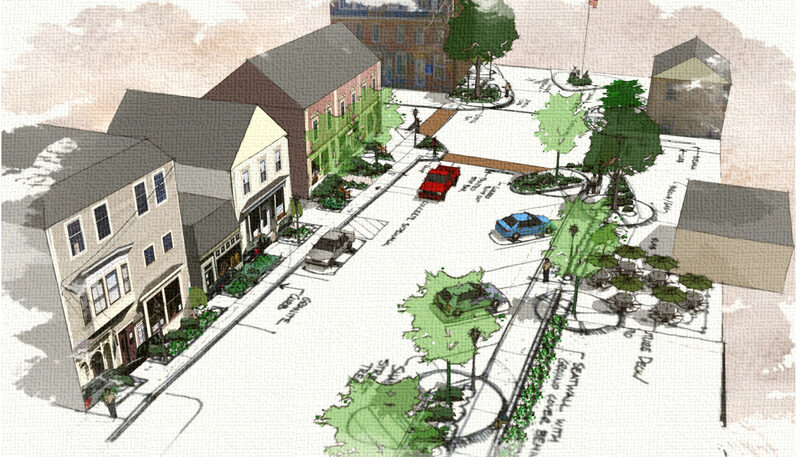 All of this work was accomplished within a 55’ right of way where buildings and porches have been built at its edge. 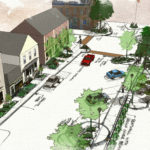 Thoughtful removals, layout, and grading plans were a must and provided Sargent Corporation with the information needed to turn ideas into reality and creative phasing and scheduling that was sensitive to local activity patterns and events allowed this large, very complex project to be completed with minimized impact to the community. 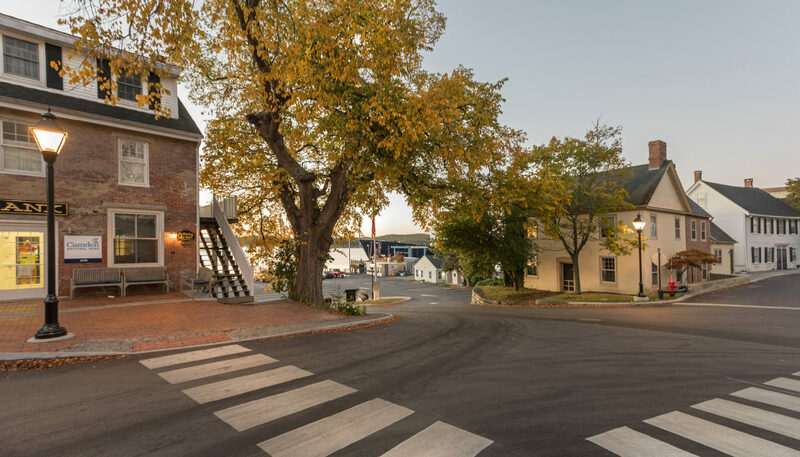 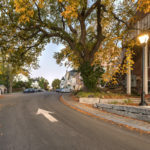 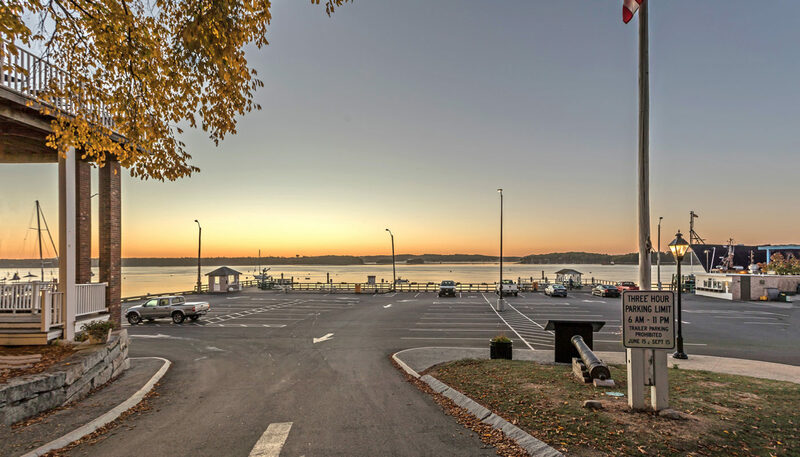 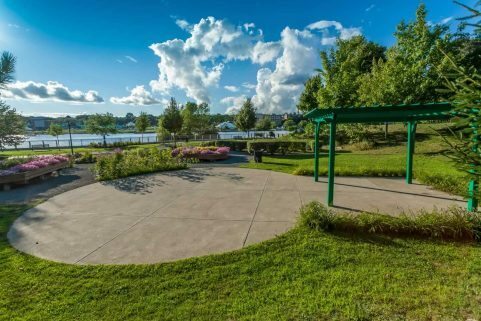 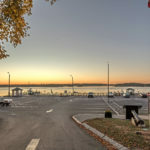 While this mix of design solutions will not likely be apparent individually, they work together to allow residents and visitors to see and experience the real Castine: The sea, the giant majestic elms, the historic character of homes and businesses. 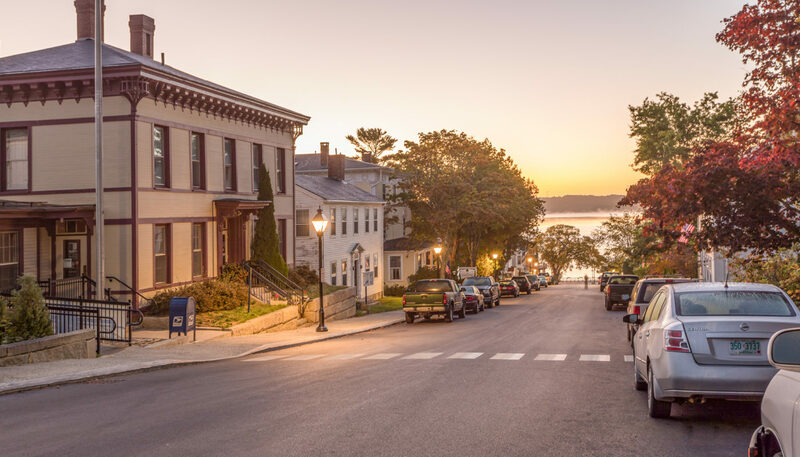 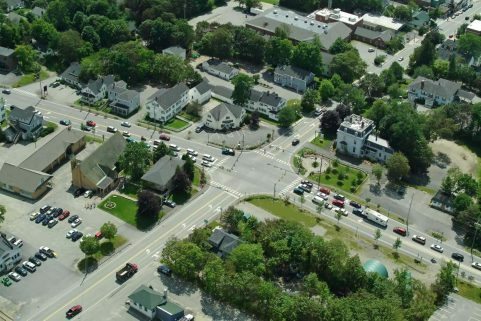 As one resident exclaimed at one of many town meetings – “Castine has grit!” This Main Street solution keeps Castine’s unique charm intact while providing a safer, fresh pedestrian and visitor experience.